Szymkowiak et al. paper received Editor’s Choice in Oikos journal! We are happy to inform, that recent paper authored by Jakub Szymkowiak, Lechosław Kuczyński (both from Population Ecology Lab), and Robert L. Thomson (FitzPatrick Institute of African Ornithology, University of Cape Town, South Africa & Department of Biology, University of Turku, Finland) will be published in the November issue of Oikos journal as Editor’s Choice! 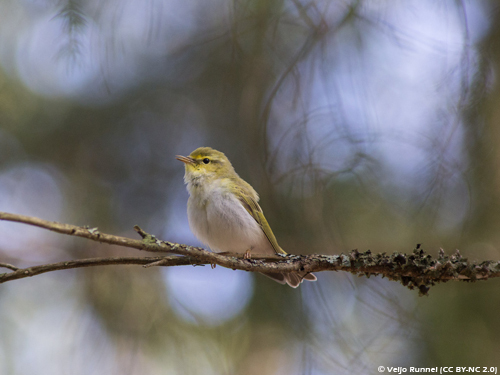 The study shows that wood warblers (Phylloscopus sibilatrix) selectively use intraspecific social information for breeding-site selection, by copying settlement decisions of poor quality conspecifics, but avoid settling near good quality individuals, likely because of their high competitive abilities. The observed decision-making pattern supports the predicted, yet not experimentally tested, negative effect of intraspecific competition on benefit of social information. The study highlights also that the use of social cues in settlement decisions may be both positively and negatively biased. 0 0 Jakub Szymkowiak Jakub Szymkowiak2016-09-23 18:02:362016-09-24 17:16:28Szymkowiak et al. paper received Editor’s Choice in Oikos journal! Population Ecology Lab has been launched! On 1st September 2016, Population Ecology Lab has been launched! Stay tuned for updates from our Lab! 0 0 Jakub Szymkowiak Jakub Szymkowiak2016-09-11 15:50:422016-12-10 14:08:02Population Ecology Lab has been launched!